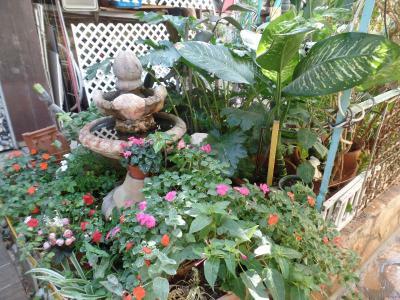 Lock in a great price for Cozy Garden – rated 8.3 by recent guests! Roni's as warm as my dad.I was moved that he gave me a ride to city of David when I had no plan.He drove me to church on Sunday n even made me orange juice. These were all the precious memories that I never expected. Overall great location. 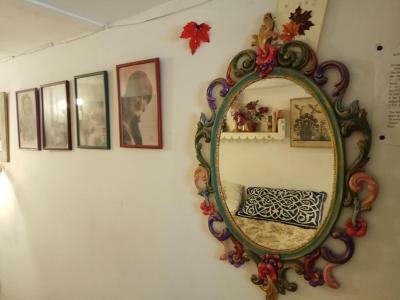 Was looking for a room within walking distance from Old City and location met all my expectations. Parking at end of street with no problem finding spot each evening. Several restaurants and grocery store within walking distance. Old city within walking distance, was able to visit several hours each morning, take noon nap and return several hours in the afternoon. 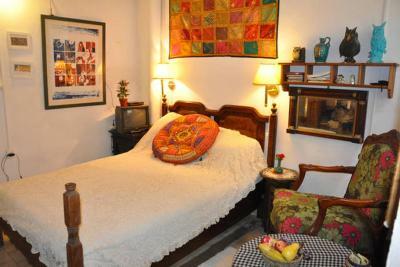 Room was one of the two bedrooms in Roni’s home and a comfortable place to sleep each evening. Roni was very helpful through my stay ensuring I had everything I needed and provided me with lots of tips on places to visit. I will definitely book again. Great location. Comfortable room. Roni is an excellent host. It was our first time in Israel. Roni does his best to make sure you have a great time.. Roni was a huge asset in helping us get the most out of our time in Israel.. He quickly became our friend. Our host Roni was very knowledgeable and nice. He made me and my friend breakfast with tea. We had a clean and spacious room. He made us feel very welcomed and has a beautiful garden with a gorgeous view from the rooftop! 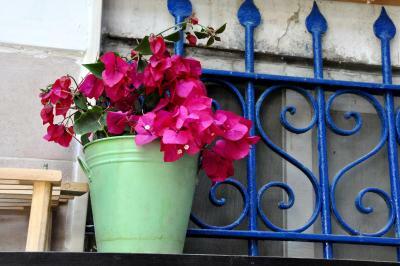 Walking distance to old town and food. 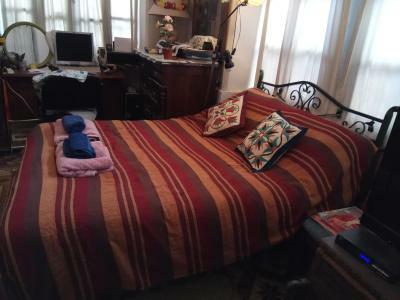 Fantastic host...marvelous location...comfy bed...great price....and we really enjoyed our stay...Roni ( the gentleman who owns the house) was so kind. 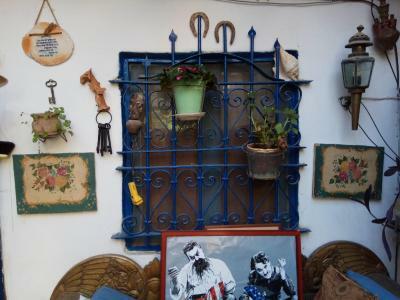 I loved all his ornaments and antiques.. He was really informative about local attractions....ten out ten we'll do it again! I actually did not eat any breakfast there. There is a rooftop bench overlooking the city. It was a great location. I enjoyed it and would stay there again. Host was kind, helpful and informative. Location was good and meat supermarket. The most magical place we've ever been (with the most helpful man in the world!). We felt at home there, even though we were thousands of kilometres away from home...:) Wonderful location, COZY place! Hope we’ll be back soon! 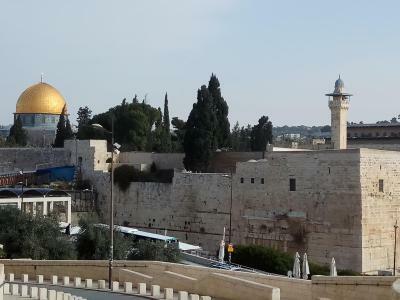 Amazing position (only fifteen-twenty minutes on foot from Jaffa Gate, and so the Old City and all the transport links), STUNNING view from the rooftop (sweeping from Mount Zion to the Mount of Olives via the Dome of the Rock), very, very comfortable room. Roni is a wonderful host, very generous, helpful, kind, and always ready with advice and help. From having excellent recommendations about transport and things to visit, to helping us sort out our airport shuttle on the last day, he was absolutely fantastic. 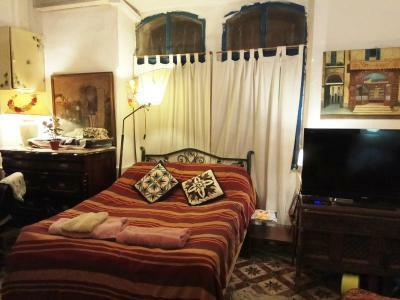 The rooms are very charming, full of knick-knacks, and very very comfortable. And the cat is a friendly little thing. If I could return, I would. 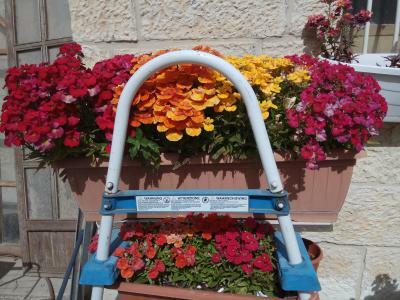 One of our best sellers in Jerusalem! 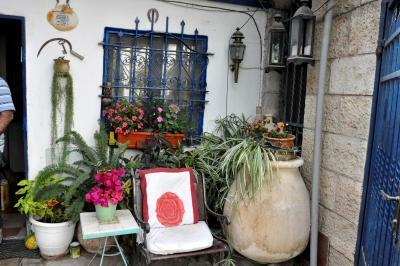 Located 2.1 miles from Western Wall, Cozy Garden has accommodations and free WiFi in Jerusalem. All units feature a shared bathroom and have air conditioning, a flat-screen TV and a dishwasher. There's also a kitchen in some of the units equipped with an oven and a microwave. 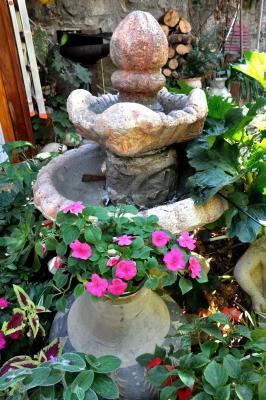 Church of All Nations is 2.9 miles from Cozy Garden. 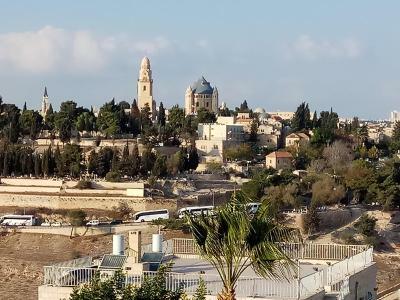 The nearest airport is Ben Gurion Airport, 35 miles from the accommodation. When would you like to stay at Cozy Garden? 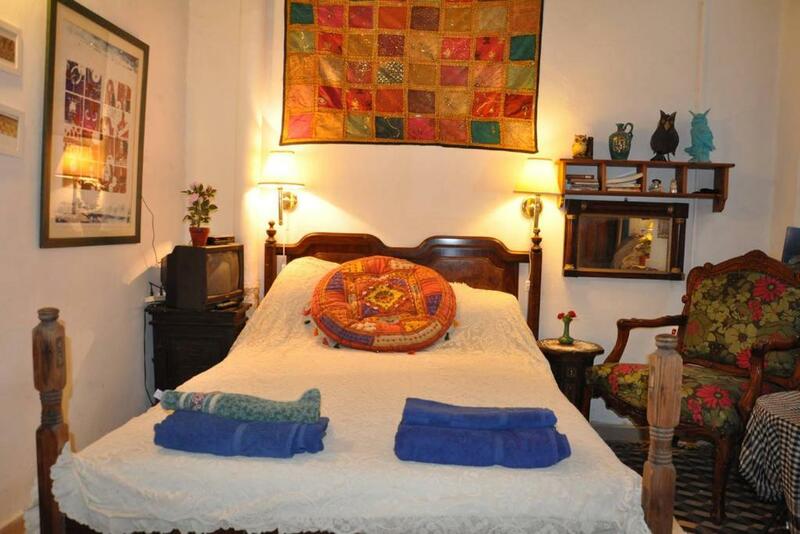 This double room has a tea/coffee maker, tile/marble floor and kitchenware. House Rules Cozy Garden takes special requests – add in the next step! Please inform Cozy Garden of your expected arrival time in advance. You can use the Special Requests box when booking, or contact the property directly using the contact details in your confirmation. I was completely satisfied as I understood when I booked that I was renting a room in someone’s home. I was not looking for 5 star hotel room, just a place to sleep each evening. Roni is an excellent host. Very enjoyable person. 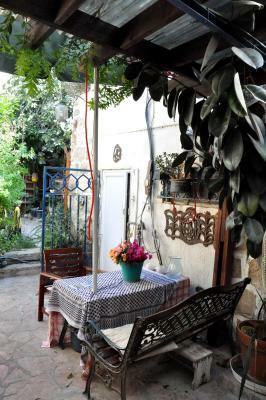 You will love gazing at mount of olives or the old city from his garden-roof. Would not hesitate to cone back. The Bad is that Ron is intent on getting to know you and to have you get to know him. He is inquisitive, genuinely interested and obviously a compulsive hoarder. This meant that for an introvert such as myself, I felt ‘interrogated’ and that my space was invaded. I tried to be polite but I’m certain that Ron thought that I was genuinely shallow. I simply didn’t want the chats, talks and discussions along with the explanations of how he acquired certain plants, how he had grown them and if I wanted to take a cutting back to the UK AND this was after I had said a number of times that I wasn’t interested at all in plants!? * The Ugly is that – and I am a man – Men generally do not know what a ‘clean’ house is and Ron fits into that category. I wish that I had read some of the other reviews before I booked because others also comment on the dust everywhere and the filthy kitchen and bathroom. 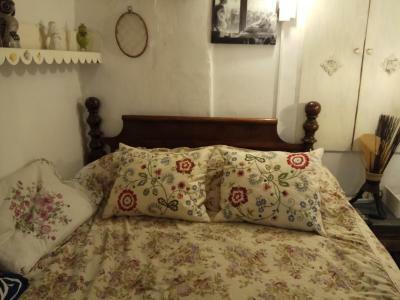 The house has 3 bedrooms and due to a booking error, I slept in Ron’s normal bedroom while a couple of Italian girls slept in one room and a Lithuanian couple had the 3rd. All of us where using one single bathroom with the only toilet in it. I repeat, no seperate toilet for effectively 5 people. Not only that but the bathroom was dirty and felt unclean. The dust everywhere was also an issue for me. When I mentioned this to Ron, he said “dust on food is not good, but elsewhere isn’t bad”. He mentioned that he dusts once a month and that for me is simply not good enough for a place being rented out. 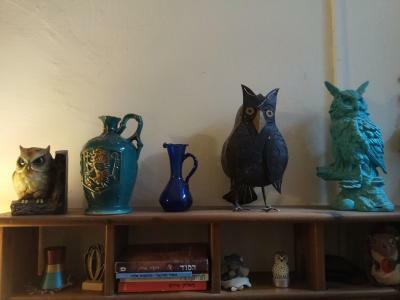 Everywhere there is ‘stuff’ from ornaments to figurines to books to collectibles, to memorabilia all collecting dust. The kitchen is difficult to describe since it had a cooker full of grease while I was there, with pans that were greasy and well worn and the oven was uncleaned. I simply would not have dreamt of using the kitchen to cook anything while there apart from boil the kettle for a cup of tea. Unfortunately, the place was very cluttered and dirty. Everything was covered with a layer of dust and/or grease - both in the rooms and in the kitchen. That is by far the biggest problem with this homestay. In the room there was nowhere to unpack because most of the surfaces are covered with clutter and the wardrobes are full of the hosts clothes. The host was extremely nice and pleasant to be around. He gave us some useful tips and even gave us a lift in his car to the old town. We also quickly became friends with his lovely cat. 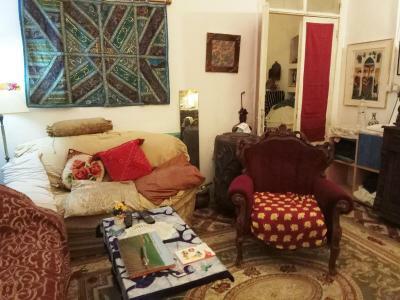 The location is quite good, around 10-15 minutes walk from the Old Town, but a bit far from the city center. The rooftop terrace gives a great view of the city. I was not comfortable with the standard of cleanliness of this property. The owner, Ronnie, of this property is an extremely likeable man, very helpful and even invited me to the opening of an art gallery. The room had all facilities and a shared bathroom. Unfortunately he hadn't cleaned out the waste baskets in my room, or cleaned the bathroom properly and these things disturb me as I was paying quite a lot of money for the accommodation. The location is very good and the views from his garden terrace are lovely. The property is in a very safe area and I walked everywhere. Nearby is the old railway station which seems to have plenty of entertainment in the evenings and some very nice restaurants. 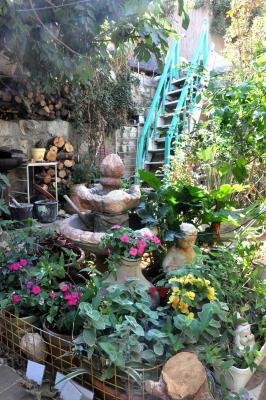 We really enjoyed a night spent in the guesthouse “Cozy Garden”. The elaborate setting of the house creates a fantastic atmosphere. We spent almost an hour just having examined all the details of the furnishing. Roni, the owner of the house, made our stay here as comfortable as possible: the room was warm due to a heater, there was a plate with apples and tangerines, a nice bathrobe, and four towels, and we got a tasty breakfast in the morning. 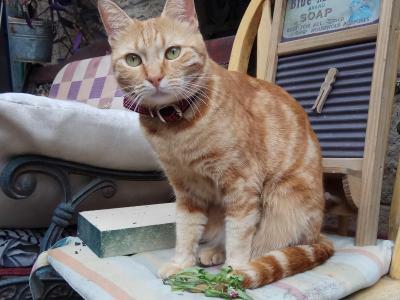 By the way, we were met by Roni’s red cat who purred his greetings to us. 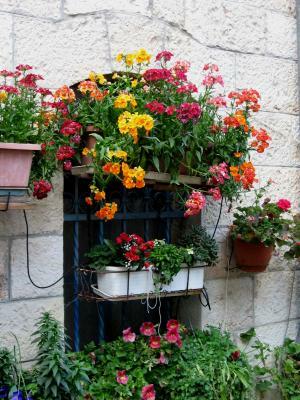 Near the house and on its roof there is a real garden full of flowers. 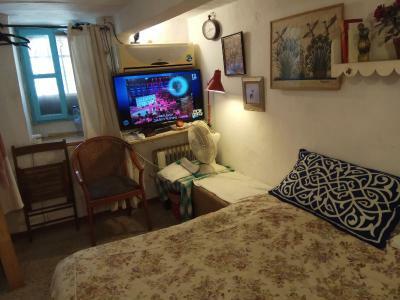 It is small and very cozy (the name of the guesthouse is truthful). 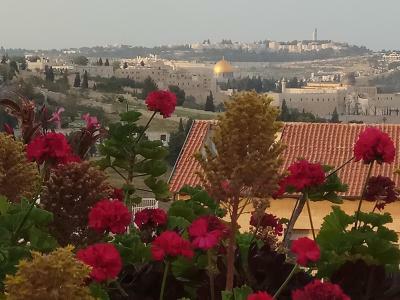 And a spectacular view of the Old City of Jerusalem from the roof of the house became the cherry on top! 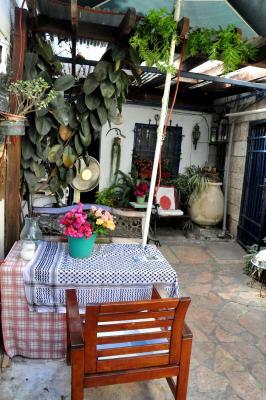 We strongly advise you to choose “Cozy Garden” as your vacation spot because no words can describe the fabulous atmosphere of this guesthouse. Dear Roni, thank you so much for this priceless impressions and memories about our short vacation. 1. The rooms including the bathroom and kitchen appeared cluttered with little free space available for us to use. 2. There was only 1 bathroom available with toilet. For a family of 4, it was pretty difficult for us to organize ourselves in the mornings, to get ready and go for sight seeing. Despite waking up early every day, we ended up being late for the sight visits. 3. besides the 1 night, we were lucky not to have other guests else it would have added to our worries. 4. Collecting antiques and displaying them is one thing, but keeping them clean, neat and tidy is another. This was what disappointed us. There was dust and grease on almost anything we touched. 5. I wasnt aware at the time of the booking that we would have to share the living space with the host/owner. The ladies in my family felt a bit uncomfortable to this. 6. The cooking pans need replacement. The cooking range needs replacement. Quite a few repairs & maintenance is needed. 7. A lot of empty, unused bottles, cans, and other items not necessary were lying around in the Kitchen, bathroom and bedrooms. 8. There was no space to store our bags, so we ended up using the sofa couch to park our bags. 9. The exhaust hood was dripping with grease. Not very healthy. 10. Getting to the roof top was a high risk due to the steep wooden stairs that appeared to have been assembled by a non-professional. we decided not to go to the top at all. The host/owner Roni was pleasant to talk to and gave us helpful hints for places of visit. 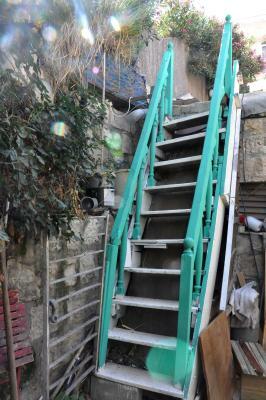 The parking was nearby and the hotel/guest house not far from the old city of Jerusalem. 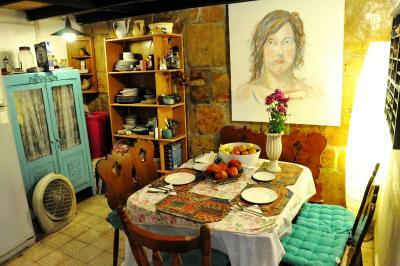 Probably one of the most amazing places to stay in Jerusalem. The owner is very kind and helpful. The place has its soul. There is a lot of books and you fell at home. The room was big, really big. 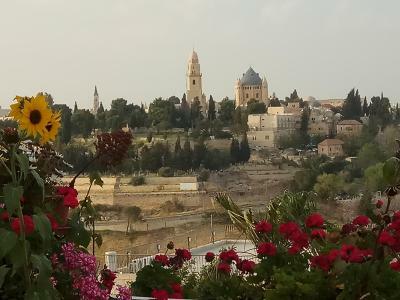 Roof garden with the view of Jerusalem Old City was amazing, you can spend hours sitting there. There is a nice supermarket 5min away, and the Old City only 15min walk in safe part of the city. 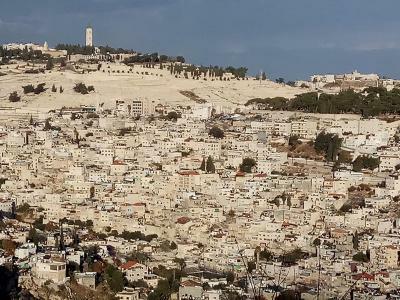 It’s a healthy walking distance into the centre of Jerusalem which wasn’t an issue for us but you could always get a taxi if you need to. It was a lovely place to stay where we were able to feel totally at ease. The owner was very welcoming, hospitable and helpful. It offered a great alternative to hotel accommodation if you want to attempt to get under the skin of the city. Great value for money.